When we were doing the research for our trip to Bali in the spring of 2017, I came across a TripAdvisor page entitled “Nature & Wildlife in Bali“. Since nature is always high on our travel bucket list, I was genuinely curious, so I had a look. It was supposed to be a list of nature and wildlife experiences. To my confusion, this is what I found there: 1. Ubud Tanah Lot Tour. Seriously? That’s a cultural tour, so clearly in the wrong place. 2. Breakfast with the Orangutans at Bali Zoo. This was already a bit unsettling, especially because the accompanying photo featured a family in front of a cage (!) with Orangutans. Even though the experience might be regarded as exceptional by some people, this is not really what we consider nature or wildlife. We rather see these animals in the wild, and by the way: wild Orang-Utans do not live in Bali. 3. Night at the Bali Zoo Including Dinner Experience. Again, same objections. The list went on and on, alternating between zoo experiences and (mainly) cultural tours. The only national park that was mentioned was Komodo NP but that it’s not really in Bali, of course. After reading this I was really confused. Is there no pristine nature in Bali? And where is Bali’s wildlife??? 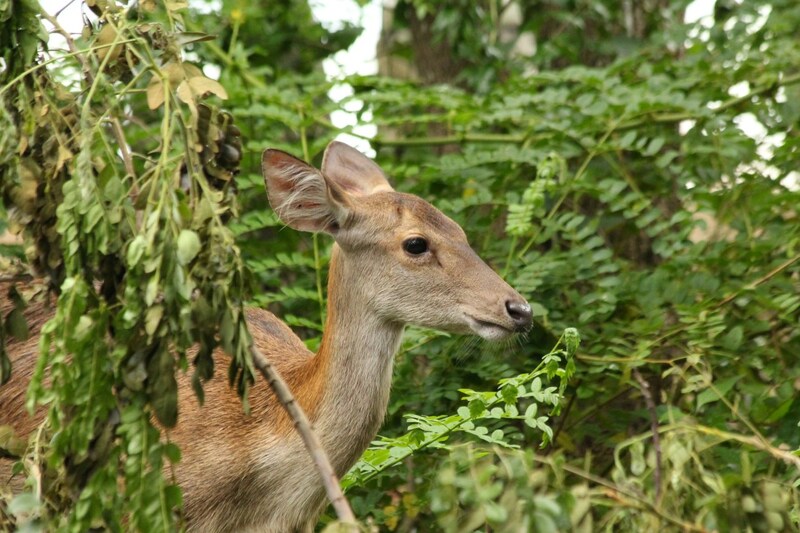 The next list I checked out was on the website of a Bali travel guide, entitled “7 Wild Animals You Can Get Up Close & Personal with in Bali“. At first, I was relieved to see that this one at least started nicely with dolphins, until I read that for this “experience”, the animals were kept in captivity (“wild” animals?). The next one was even worse. Elephants? Really? 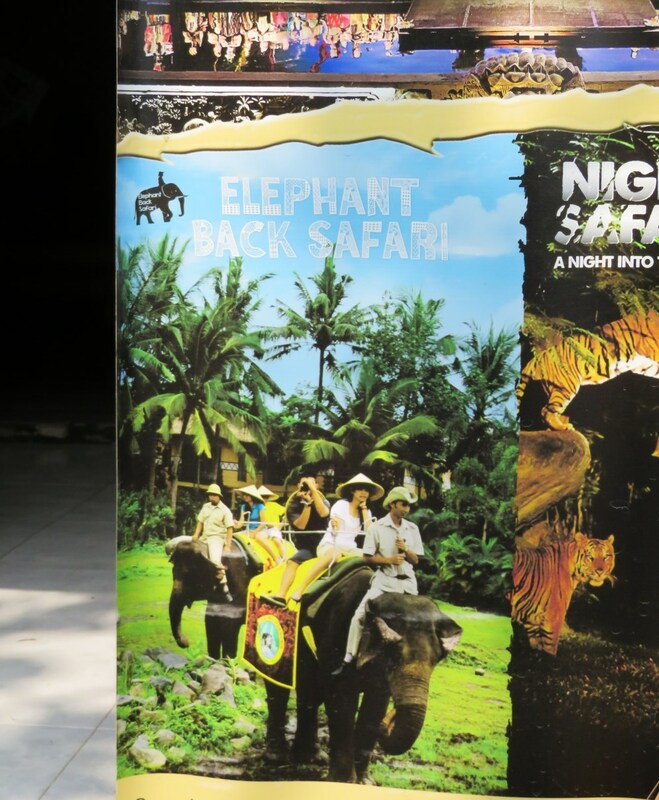 The featured photo of tourists riding on elephant back confirmed to me that Bali really allows this type of animal cruelty! (and again, there are no wild elephants in Bali!) Next up: horses. Not really a wild animal in Bali. Followed by: “Exotic birds”, which seemed more fitting at first, except for the fact that this entry referred to Bali Bird Park, where mostly alien species of birds are “hand-reared in captivity, which means they are completely at ease with human contact.” Etc. Etc. It also came to our attention that Bali is the island where Kopi Luwak coffee is produced. Known as “the most expensive coffee in the world”, it is made from coffee beans that have been digested by civet cats. 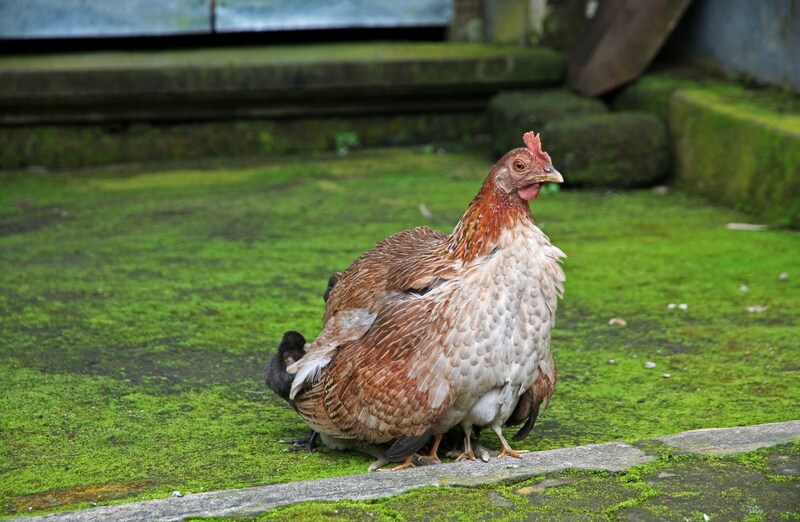 These poor animals are kept in battery-cage conditions, with almost no freedom of movement. They are also being overfed with coffee beans. Even though many retailers sell the product as “wild”, this is absolutely not the case! 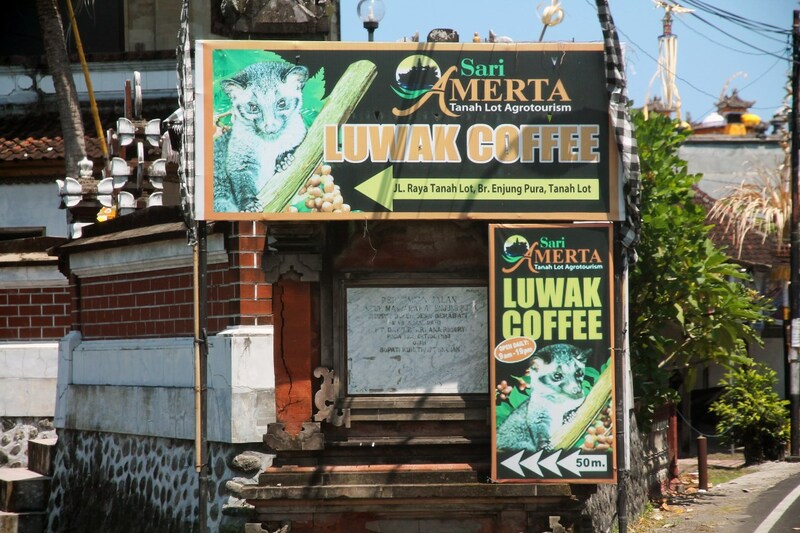 Advertisement for Luwak Coffee. Heartbreaking! Yes, I knew that (at least part of) Bali is a busy tourist hotspot, and I realise that in such places money can provoke even the most unscrupulous forms of animal cruelty. On the other hand, we just couldn’t believe that this was all Bali had to offer. And I’m really happy to say that we were right! 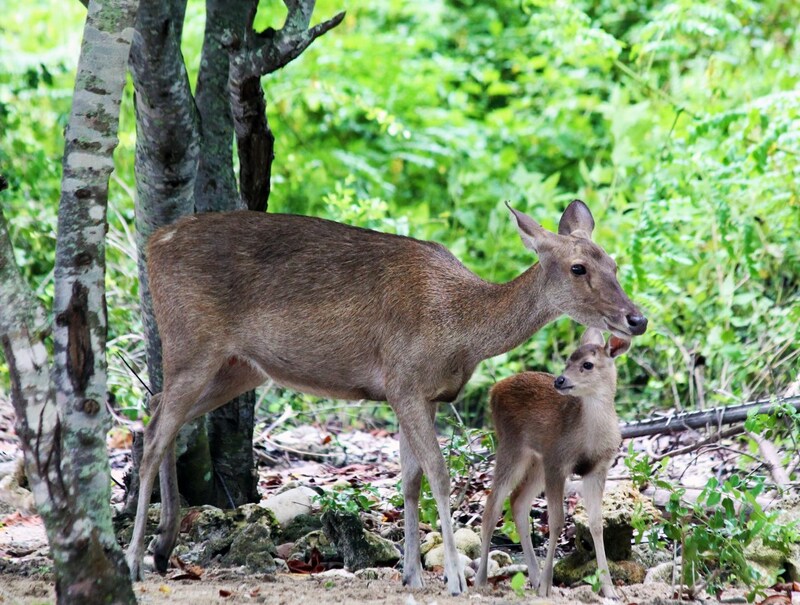 In this blog post, we want to show you Bali’s green heart, Bali’s wildlife ànd Bali’s initiatives for nature conservation. We will focus on land-based nature here, but if you have an interest in underwater ecosystems, we want to invite you to read the blog post about our snorkeling adventures in Bali as well. 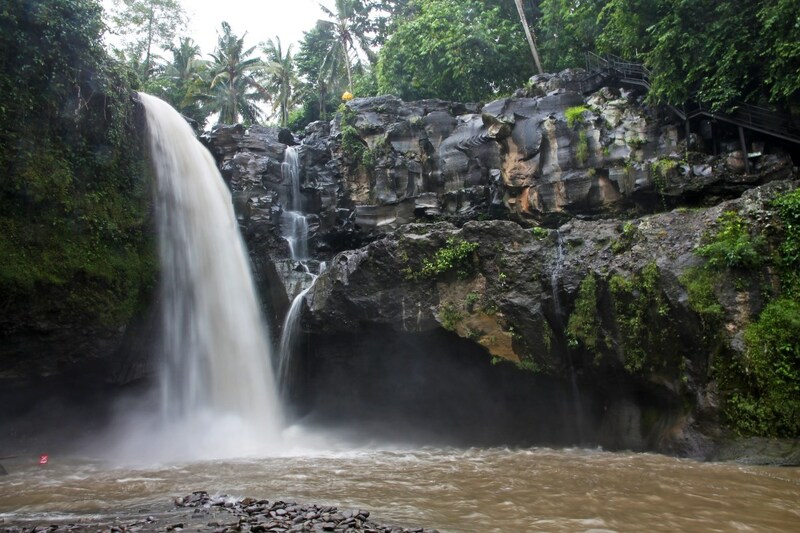 Bali has only one Natural Park: West Bali NP or Taman Nasional Bali Barat. It is located in the most north-westerly corner of Bali and includes the Prapat Agung peninsula (close to Java), the marine area around it and the snorkeling hotspot of Menjangan Island. 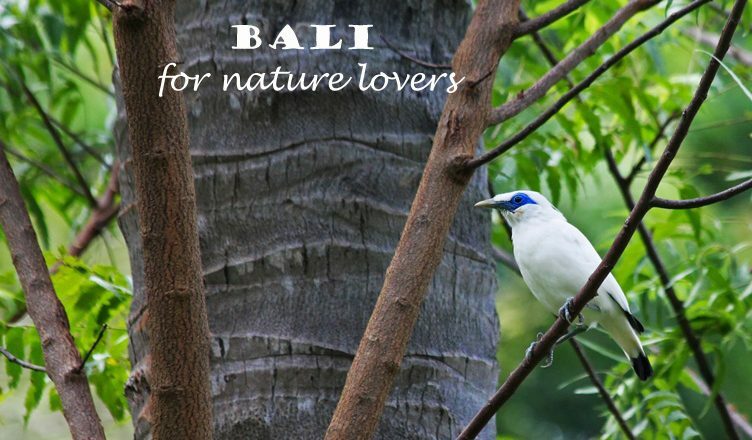 The park is the last remaining stronghold of the exquisite Bali Myna or Bali starling. 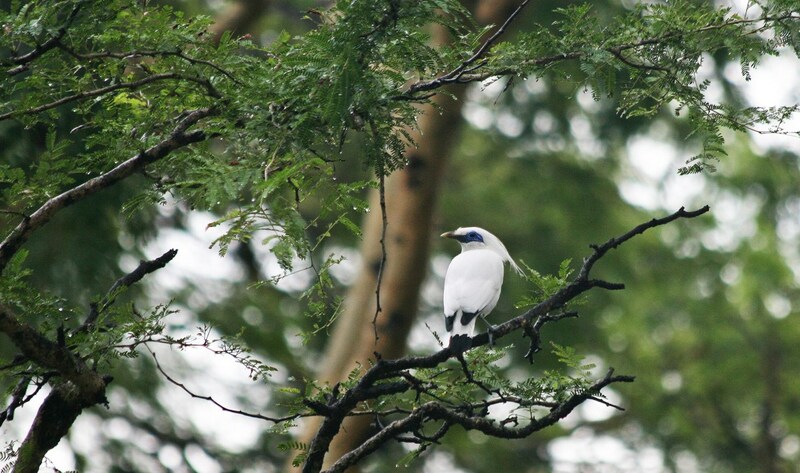 The Bali Starling (Leucopsar rothschildi) is such a beautiful bird! 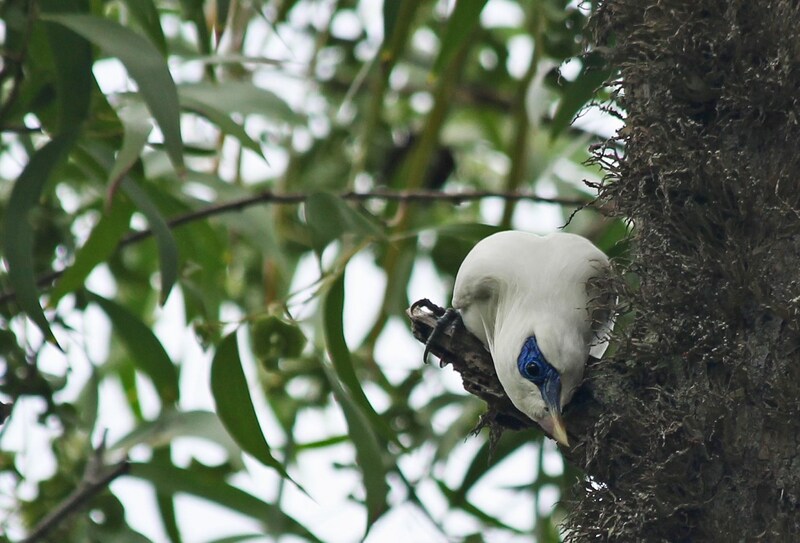 The Bali Starling has been hunted down to the verge of extinction, so this species is currently being bred in captivity in order to be released again at Teluk Brumbun, near Menjangan. 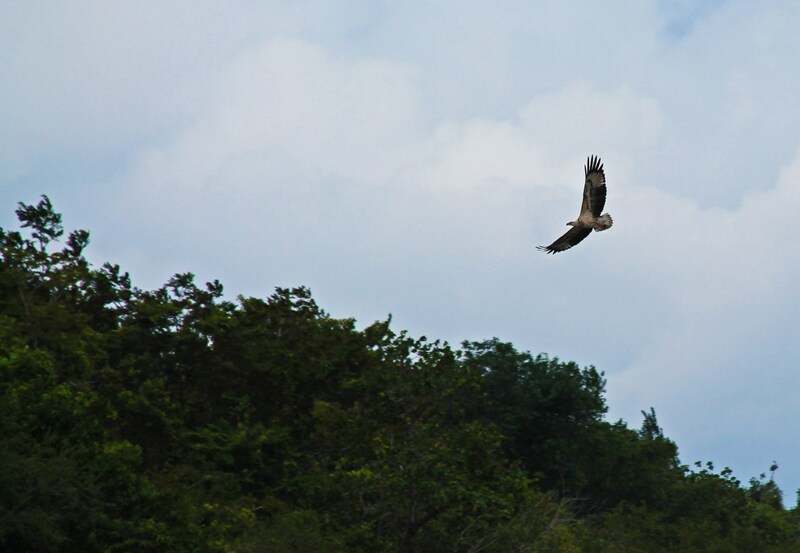 I chose to visit this breeding and release site to see these wonderful birds in their natural habitat and hoped to spot a few deer, monkeys and monitor lizards along the way. 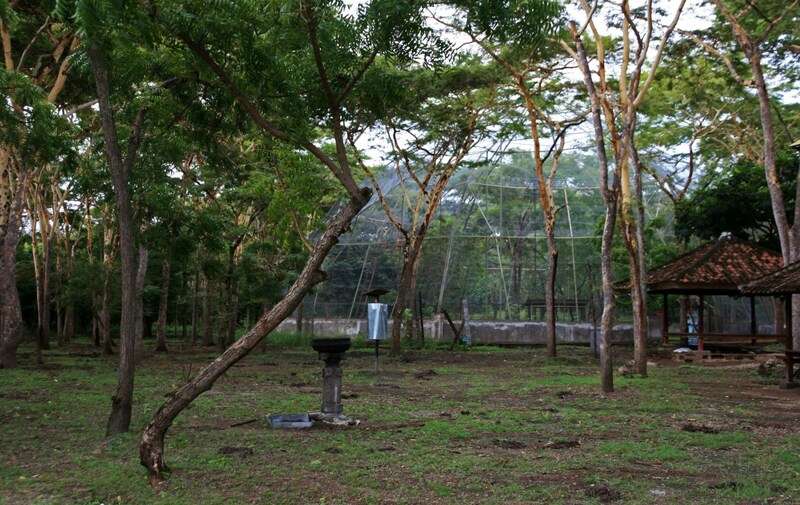 The breeding and release site at Teluk Brumbun is basically a very large aviary. Early morning, we set off with a small boat from the harbour at the entrance of the NP, which really has a very beautiful coastline. It was only when I came back a few hours later that I realised that the official Bali Myna release center was actually at this harbour. I even saw many more Bali Myna here than at Teluk Brumbun. And since I hadn’t seen any monkeys or monitor lizards during my visit to the park, I must say that the whole trip was a bit of a disappointment for me (especially because it cost me around 140 euros), even though I was really thrilled to see the Bali Starlings (which was nothing less than a unique experience), a number of other bird species and a few deer. The low number of sightings might also have been due to the unfavourable weather conditions: it was clouded and windy. The coastline near the harbour. 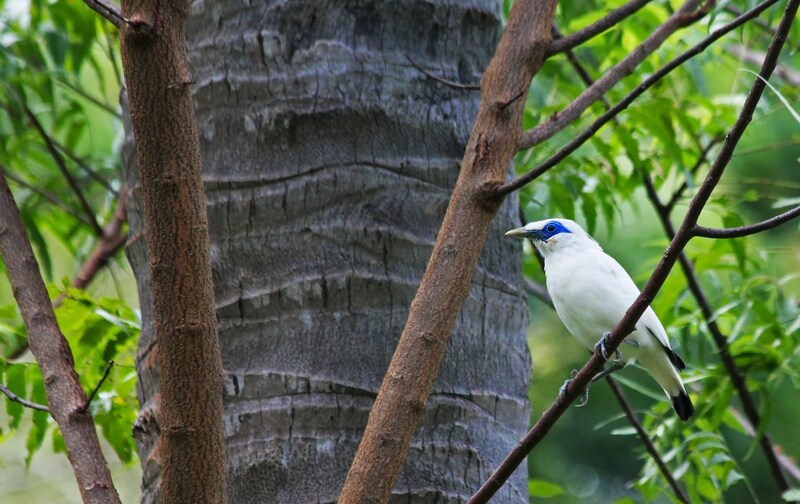 Curious Bali Myna at Teluk Brumbun. Bali Starlings have a long crest on their heads. 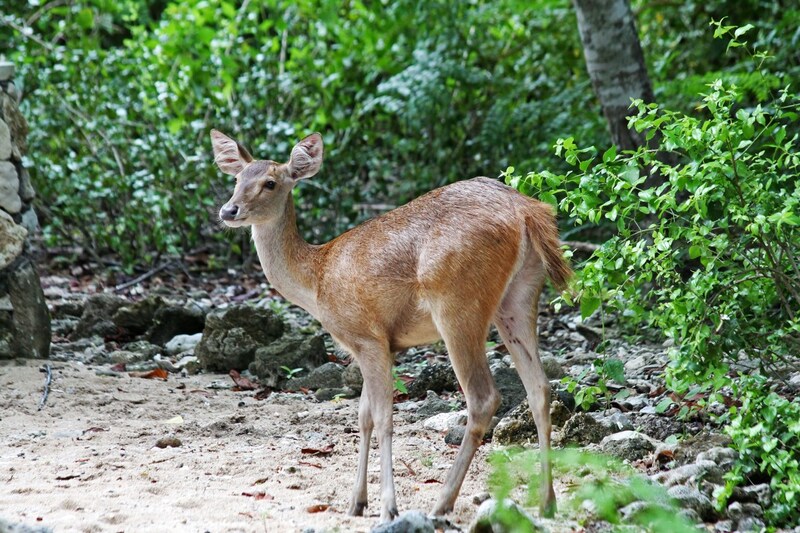 A female Javan Rusa (Rusa timorensis) on the beach near Teluk Brumbun. 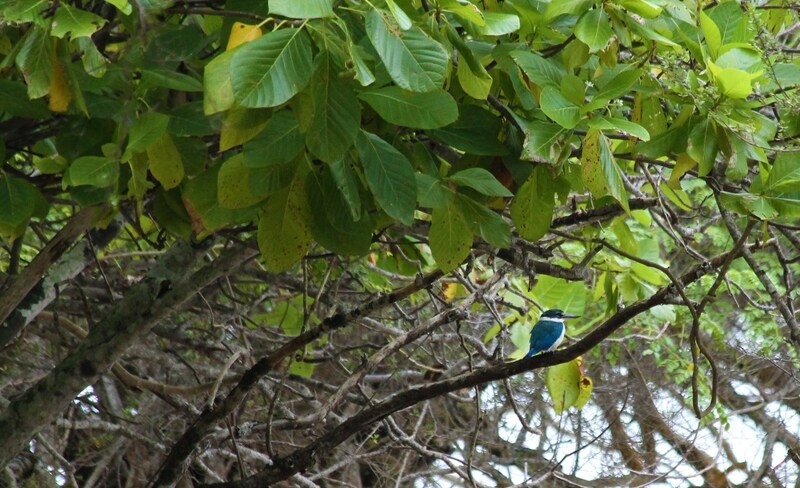 Collared Kingfisher (Todiramphus chloris palmeri). White-bellied Sea Eagle (Haliaeetus leucogaster). In my experience, finding the right person to take you on an unforgettable trip in Bali Barat NP is difficult. First, I tried to arrange something by emailing the NP headquarters, but the person I came in contact with turned out to be a fraud. So we asked a contact in Pemuteran to organize something for us, but sadly it also turned out to be a disappointment in the end because I expected more of a forest walk and high diversity of species (even though I have to add that my guide Putu really tried hard to make the most of that day and was excellent in finding birds, even though they were difficult to spot). 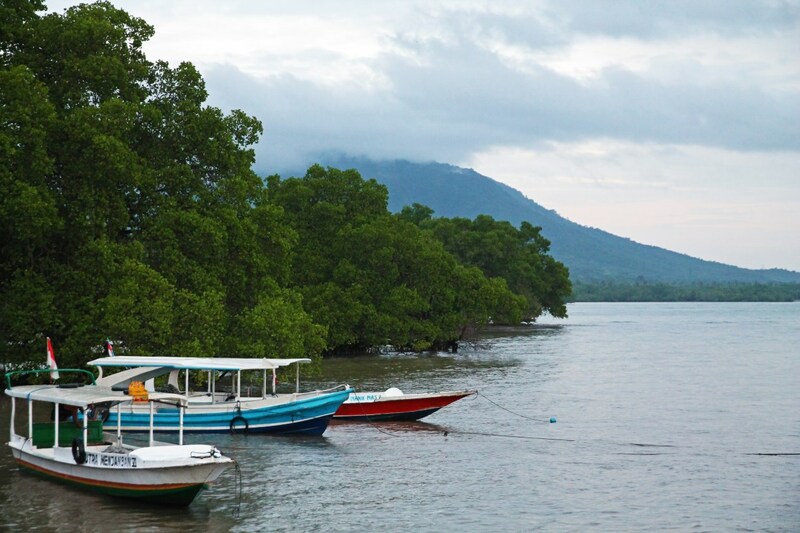 We also came to realize that Bali Barat is not so well-known and certainly not very popular with tourists. 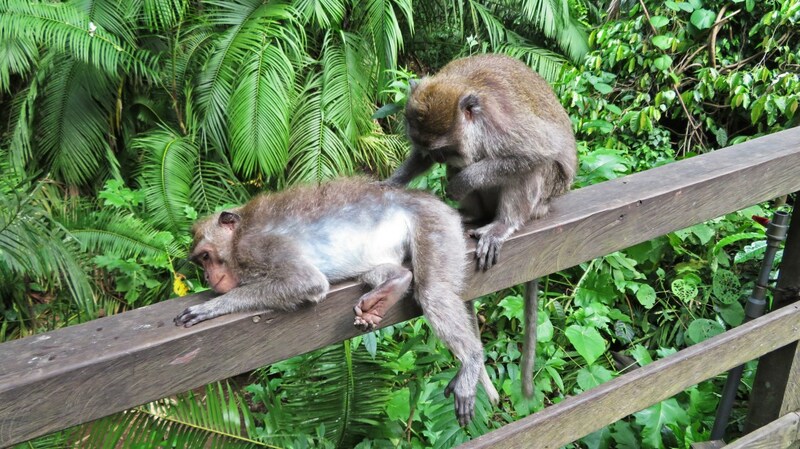 A Long-tailed Macaque, one of many near the harbour. 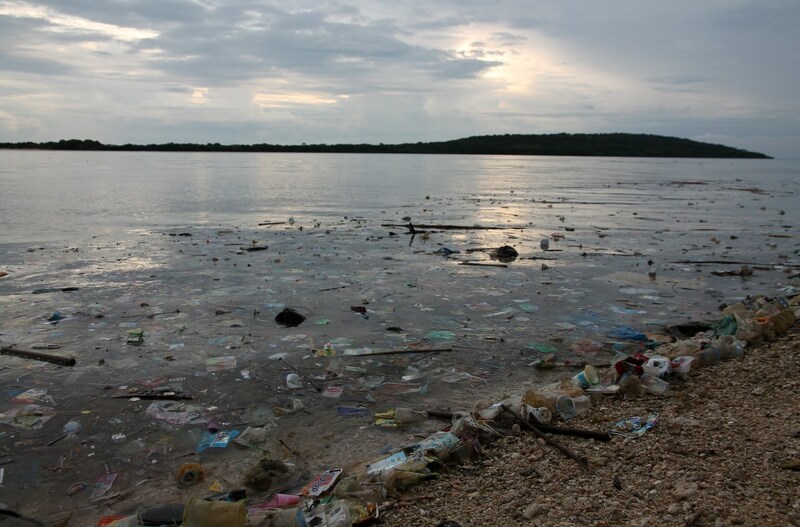 I learned that all this garbage converges on the beaches of northern Bali as a result of strong currents that prevail especially during the rainy season (a.k.a. “trash season”). According to my guide Putu, a lot of effort (both from the government and local initiatives) is put into cleaning the beaches, but it’s simply not possible to keep up with the pace of garbage accumulation. This person was cleaning the beach in Pemuteran. 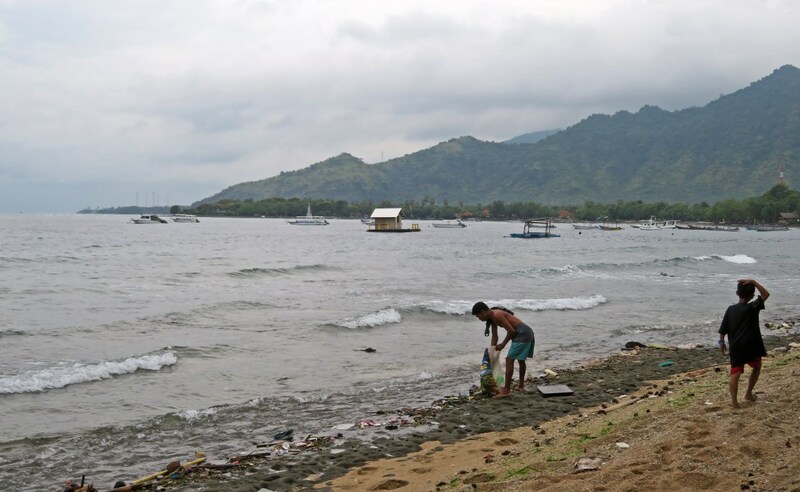 Not only the beaches of northern Bali are being threatened by human impact. The fringing reefs just offshore of Pemuteran have been largely demolished by destructive fisheries activities (= fishing with dynamite!). Since 2000, a large number of artificial reefs have been installed and they are already attracting many fish and other marine life. We snorkeled in this area and you can read all about our experiences here. Another ecological problem in Bali is the consumption of sea turtle meat and eggs. The Reef Seen Turtle Hatchery Project in Pemuteran offers locals a financial reward when they bring in a turtle’s nest they’ve discovered, instead of selling the eggs on the local market. In 2016, Reef Seen welcomed 1115 eggs. 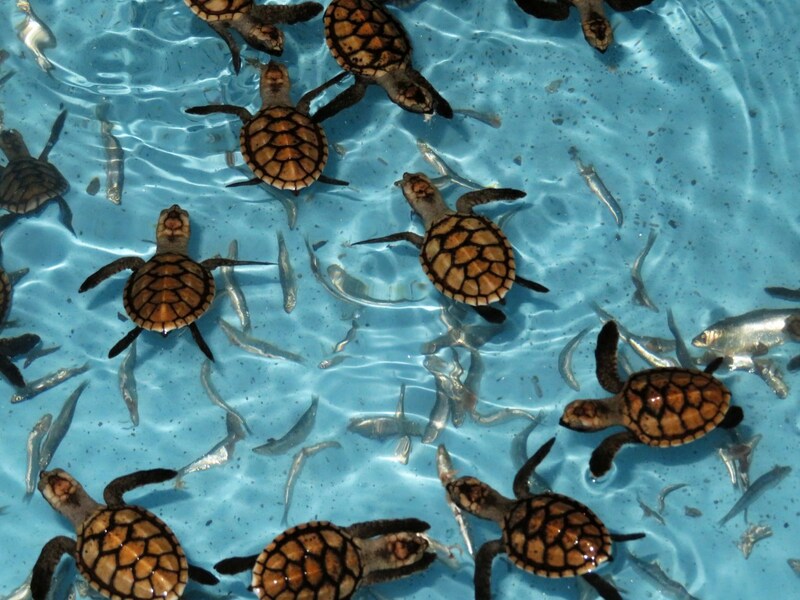 In total, 320 turtles hatched at their sanctuary, of which 298 were released into the wild again. Twenty-five adults were also saved and released in that year. 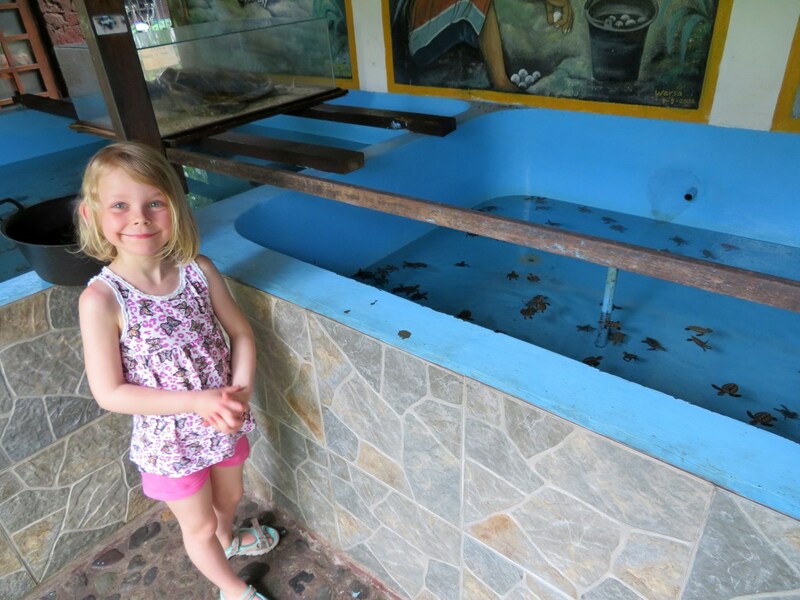 For a small donation, you can visit the Turtle Project (called “Penyu”), hear all about its activities, and children can feed the turtles some fish (which was certainly a highlight for our daughter Febe). One of the ponds with baby turtles. 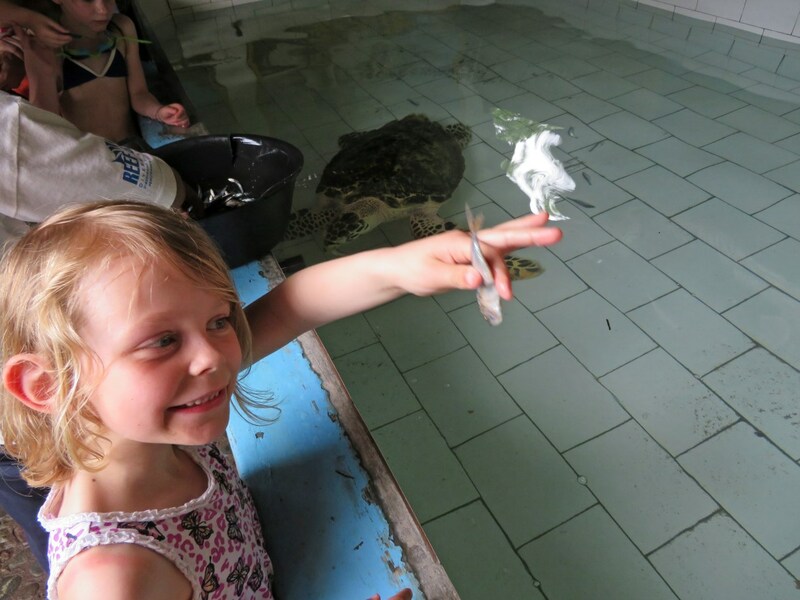 Feeding one of the adult turtles. 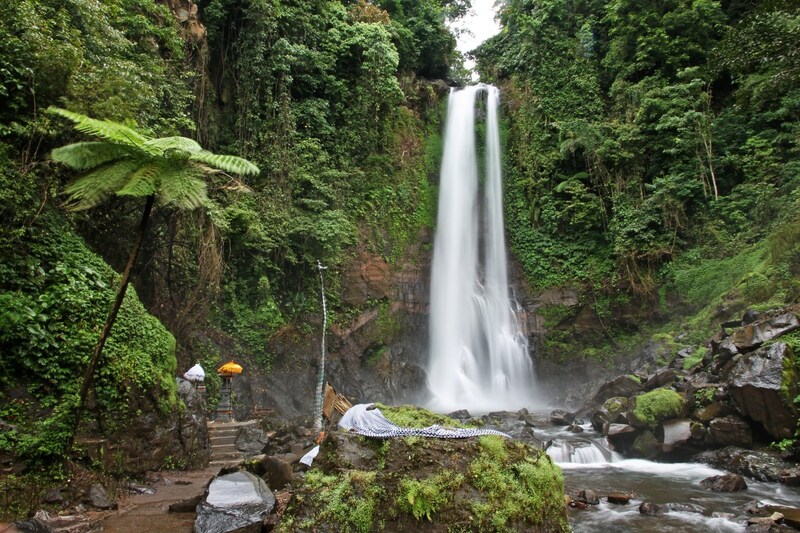 Even though Bali has only one NP, there is much more nature to be found on the island. 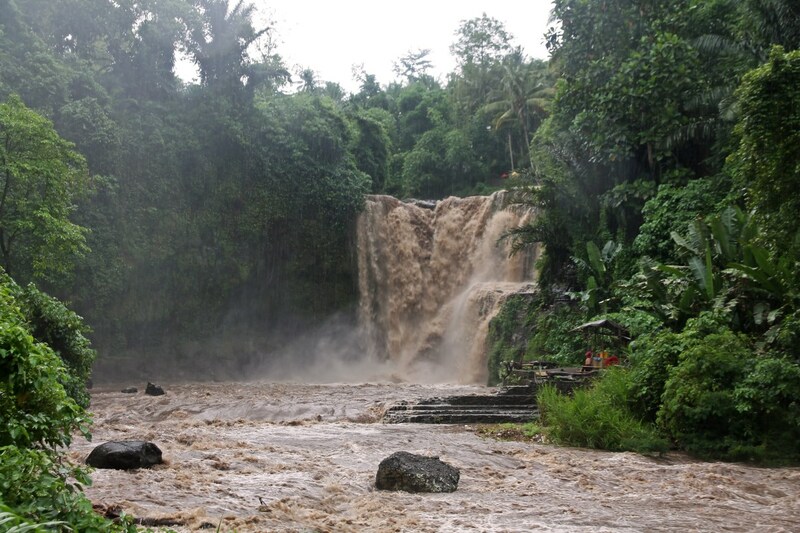 One particular spot we had planned to seek out is the island’s most scenic natural attraction: Sekumpul Waterfall. 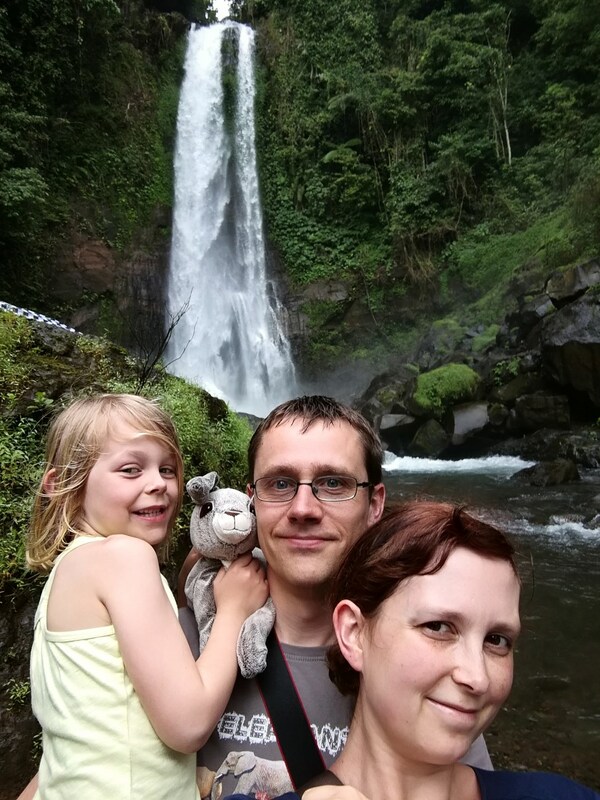 This magical place can be reached after a steep decent into the jungle, but given the extensive rain of the days before, our tight schedule and Annick’s sore ankle, we abandoned the idea and settled for the more easily accessible Gitgit Waterfall instead. Although undoubtedly more touristy and less adventurous, Gitgit is an impressive sight and definitely worth checking out when you are on the road between Pemuteran and the northeast. After. There’s only half an hour between both pictures. Thunderous Tegenungan as seen from above. Personally, we strongly believe that all animals deserve a life in the wild (where they belong) and not behind bars, although we also do acknowledge the importance of zoos in the survival of a number of endangered species and for their educational purpose. 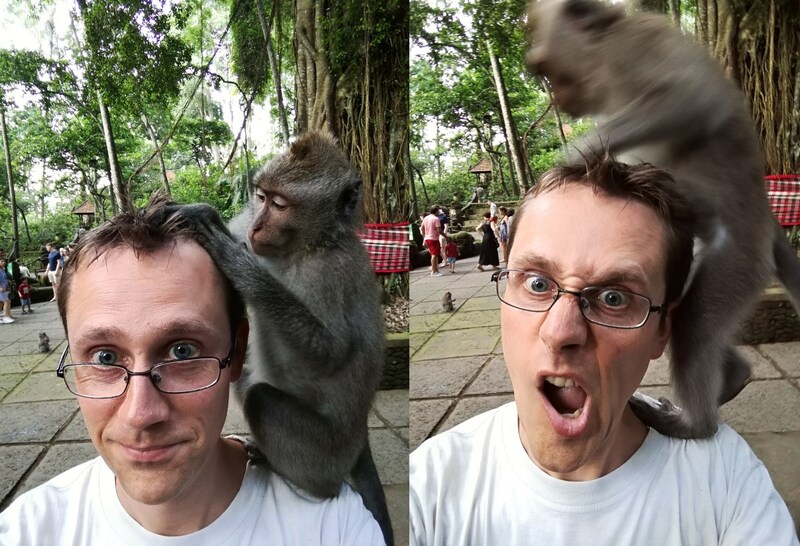 In this context, Monkey Forest in Ubud was a bit of a dilemma for us. 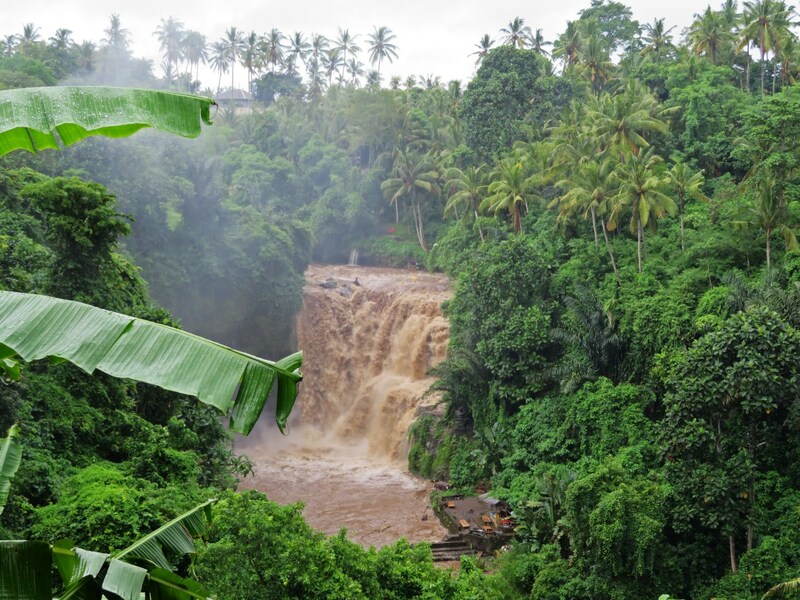 Some people described it as overcrowded, dangerous and unpleasant, others assured us that it is a must-do in Ubud. 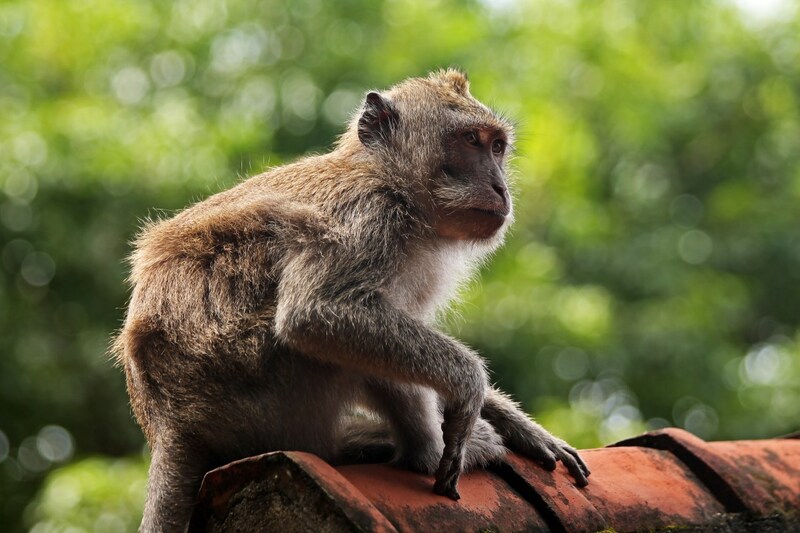 Since we had already established that the Balinese long-tailed monkeys in the forest are totally free to roam, and can even venture into the city and a nearby forest, we decided to give it a go. 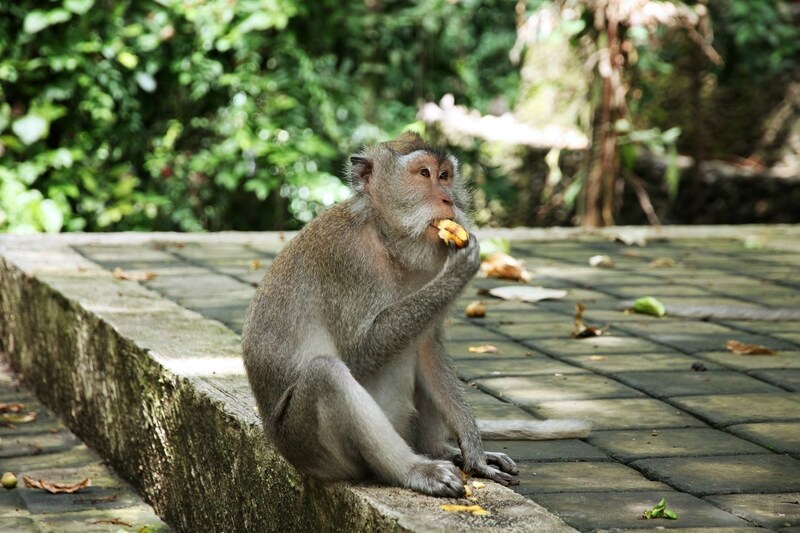 This guy was eating a banana just outside the Monkey Forest. Two civilized and relaxed animals. Even if you are not fond of monkeys (but who isn’t? ), just go there because Monkey Forest is also a beautiful place: it has real temples, moss-covered statues, a very own graveyard, a river, bridges etc. You won’t believe it, but some parts are even quiet and relaxed. 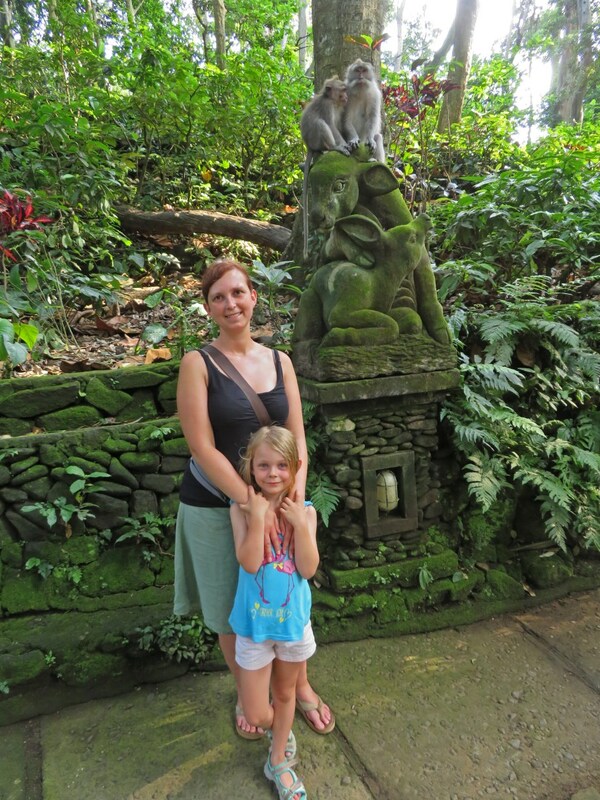 Annick and Febe in front of one of the many statues + monkeys. 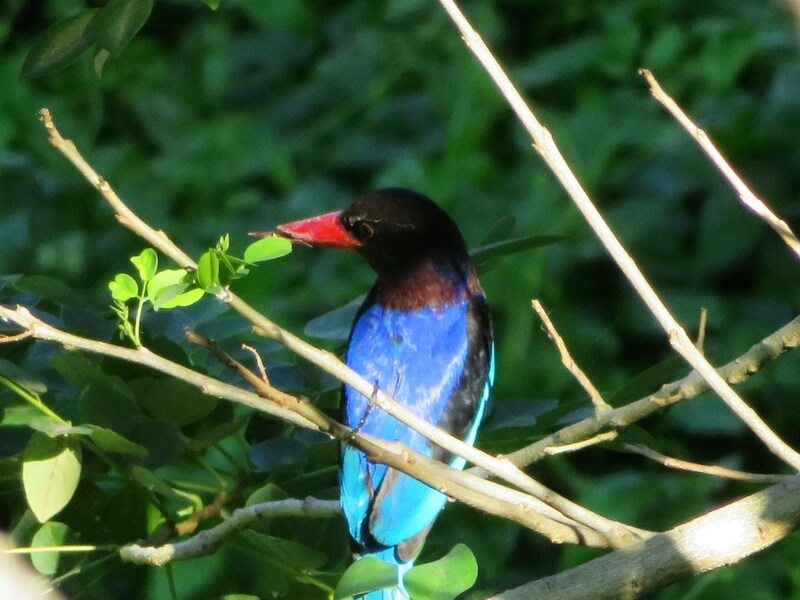 We spotted this Javan Kingfisher (Halcyon cyanoventris) just outside our hotel in Ubud on our last morning in Bali. 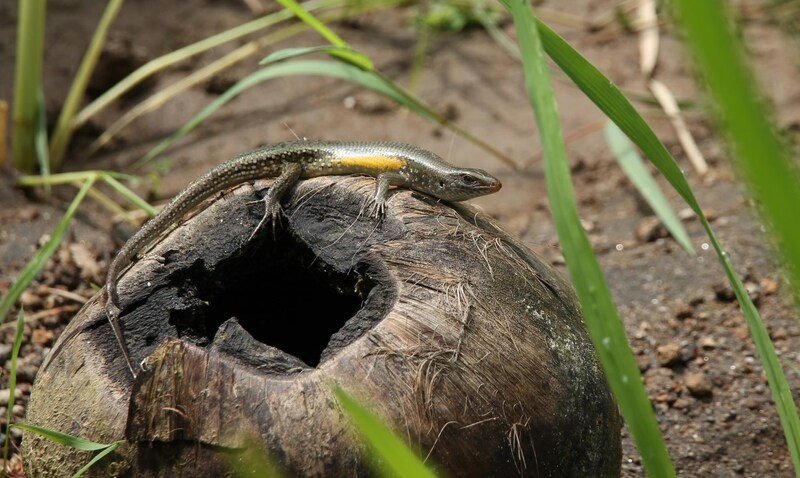 Bali Skink (Eutropis multifasciata balinensis) on a coconut shell.